Discussion in 'Crime' started by Stonywonder, Oct 25, 2017. Government intends to achieve the objectives of its anti-corruption war. 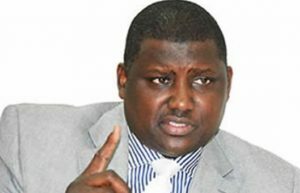 Maina was declared wanted by the Economic and Financial Crimes Commission (EFCC) for his alleged involvement in the mismanagement of about N2 billion pension fund. He had reportedly disappeared from public glare only to resurface in October 2017 and take charge as an acting director in the Ministry of Interior. Amid various resistance to the development from Nigerians, President Muhammadu Buhari ordered Maina’s immediate dismissal and demanded a full report of the circumstances of his recall.